Wait – shouldn’t that be Your Full Service Post House? 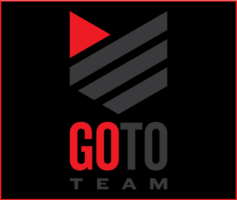 Well, Go To Team is so much more! Their Charlotte-based crews, Skip Clark and Dave Baker, were on a two camera shoot for TNT this week and they had to pull out their cover-alls and wrenches before it was all wrapped up. When Pam Surbaugh, their producer, showed up with a squeaky car the two of them went right to work finding the problem and fixing the car! Pam’s car is a little Audi hatchback and since David is a car nut and Skip has owned three Volkswagens (in case you might not know, VWs and Audis are the same car), it was easy for them! 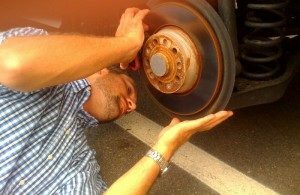 They pulled the wheel off and found a tiny stone had lodged itself between the brake rotor and the rotor guard. Pam pulled out with four tapes and a quiet car! Whatever It Takes!